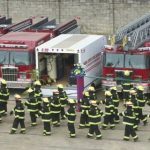 The Applyforajob Team has made available an Updated and Comprehensive Version of Federal Fire Service (FFS) Past Questions and Answers, So if You Intend to Apply for Federal Fire Service (FFS) Job Recruitment in the Future or you are Shortlisted for the Recruitment Exam, then this Comprehensive E book copy of FFS Past Questions and Answers is for You. 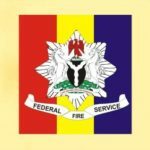 Statistics have shown that in a number of hundred questions, verbatim 30 questions are being repeated randomly, with our soft-copy Past Questions and Answers, You will score high in the Federal Fire Service (FFS) Aptitude Test because the Past Questions are Screen Shots of FFS Recruitment Examination Conducted in the Past. After payment, send a text to this number 08060833386 containing your full name, email address and FFS Past Q & A. Once your payment is confirmed, we will send your E-book to your email immediately. 2. Send a recharge voucher worth N2,500 with your full name, email address and FFS Past Q & A. We will send your E-book to your email immediately. 7. Is not a class of fire? Simply call the number above for more clarifications on how to get the Complete past questions and answers. Yes but it should be part-time job, mostly in a private company. When Did The List Of The Successful Applican Will Be Short Listed Pls? Soon, we will post it on the homepage of this website when it’s out. please sir, how do I get copies of past questions and answers for the exam? Please sir, notfy me when ffs shortlist is out please. what about prison service? why the delay. Pay to any of the account numbers above, and send us your details. Thanks for sending me the fire service questions and answers just few munites after I made payment. Follow the procedure above and it will be sent to your email in few munites. please sir notify me when the FFS shortlist is out this is my 08066495909 thank you sir.